6) Tazria/Metzorah 24-Davening Maariv Early: Does It Make It Tomorrow for Hilchos Milah, NIddah Aveilus? 7) Acharei Mos/Kedoshim 24- Should You Eat Bread In Order To Perform the MItzva of Benthcing? 8) Emor 24 - The Bonfires of Meiron on Lag B'omer: When Did It Start? Why: and Is it Mutar? 9) Bechukosai 24 - The Child Molester - What Must We Do? 10) Bamidbar 24- Conning Someone Out of a Mitzva? 12) Beha'aloscha 24 - Davening that the Terminally Ill, Suffering Patient Should Die: Permitted or Not? 13) Sh'lach 24 - Our Davening Tallis - Should It Be Beautiful? Is It Really Chayav in Tzitzes? 15) Chukas 24 - Flowers At The Cemetary? 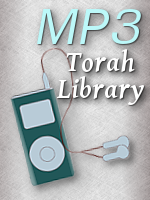 17) Pinchas 24 - Learning on Tisha B'Av? 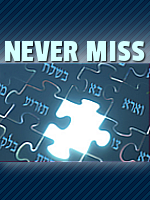 Saying Tehilim on Tisha B'Av? 18) Shoftim 24 - Finding Out If "It" Is A Boy Or A Girl - A Good Idea? 19) Ki Seitzei 24 - Dressing Up As A Woman for Chasunah Dancing and On Purim? 20) Ki Savo 24 - Checking Mezzuzos: What Do You Do While They Are Down? 21) Nitzavim/Vayeilech 24 - Must You Stand for Chazoras HaShatz on Rosh Hashana? 23) Bereishis 24 - Va'yechulu and Birchas Mogen Avos After Davening on Friday Night - When and Why? 24) Noach 24 - Zichrono Le'vracha: On A Living Person? 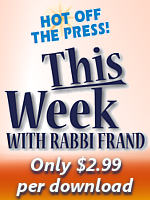 26) Vayeira 24 - Saying No to A Rosh Hayeshiva? Saying No To Your Host? 27) Chayei Sarah 24- Fulfilling P'ru U'revu - With Boys or Girls? 29) Vayeitzei 24 - Public Humiliation: Can An Older Brother Object to the Younger Brother's Engagement? 31) Vayeishev 24- Can You Kill Someone who Hashem Doesn't Want To Die? 35) Sh'mos 24 - "How Do You Get Called Up to the Torah?" 38) B'shalach 24 - Shalosh Seudos: When and With What? 39) Yisro 24 - Ma'aris Ayin: The Power Lunch in a Treife Restaurant? 41) T'rumah 24 - The Breakaway Minyan - Permitted or Not? 44) Vayakheil/Pikudei 24-This (Aron Kodesh, Ner Tamid, Window) Is Donated by..... A Good Idea?